The International Criminal Court in The Hague “examining” evidence of abuses as campaign against Maduro government gathers momentum. Argentina, Colombia, Chile and Paraguay poised to join court action. Increasingly isolated and on the defensive, Venezuela’s socialist government could be on the verge of a new international, legal crisis. An unprecedented effort to put top Venezuelan officials on trial for alleged crimes against humanity abuses has gathered strength in recent weeks. Now, several Latin American countries are preparing to join a legal process already underway in the International Criminal Court (ICC) in The Hague, which is examining whether to open a formal investigation into evidence of largescale human rights abuses. Taking the lead; the conservative governments of Argentina, Colombia and Chile. Colombia’s foreign ministry confirmed to Univision News that it is “working jointly with several countries from the region who have agreed to take the case to the ICC.” It said a joint announcement would be made shortly, but no date has been set. Argentina’s President Mauricio Macri told CNN last week that the initiative also had the backing of Paraguay. A decision by the ICC to open an investigation would be huge embarrassment for Maduro, and would heap even greater international pressure on his beleaguered regime in the midst of a rapidly escalating political, economic and humanitarian crisis. The case has also provided a glimmer of hope for opponents of the government after a year of huge setbacks, including hundreds of deaths in a wave of massive street protests that fizzled out last summer, and fraudulent elections that increased Maduro’s stranglehold on power. “This is enormously serious. The only thing Maduro fears is the ICC. It has teeth,” said Santiago Cantón, a prominent Argentine jurist. “The ICC has the authority to order arrests and put individuals on trial,” added Cantón, who was one of a panel of three experts appointed by the OAS who recommended taking the case to the ICC in May. “It would be a transcendental step,” said Gustavo Marcano, a Venezuelan former mayor in the state of Anzoátegui, who fled alleged political persecution last year. “This is the kind of international pressure we need to restore democracy. It’s practically our only hope, besides military action,” he said. Legal experts acknowledge that even if an investigation is opened, a lengthy legal process would ensue that could last years. The chances of Maduro going to jail remain highly speculative at this stage, experts say. “I’m not saying it’s likely, but it would make it a real possibility,” said Cantón. ICC spokesman, Fadi el Abdallah, said the court does not comment on cases while they are being examined, and he could not say when a decision will be reached. “Some cases take a few months others have taken 10 years or more,” he said. The momentum building behind the ICC case also comes as the region is dealing with a fast-escalating humanitarian crisis brought about by the exodus of two million Venezuelans estimated to have fled the country in the last two years, creating a refugee problem in neighboring countries, including Colombia, Brazil, Ecuador and Peru. “There is a sense of urgency here that hasn’t been fully appreciated,” said Irwin Cotler, Canada’s former Minister of Justice and professor of international human rights law, who was one of other experts on the OAS panel. Venezuela’s Foreign Ministry issued a “firm and categorical rejection” of the case earlier this year, also assuring it would cooperate with the court to clear its name. No country – let alone a group of countries - has ever brought a case against another country in ICC history, though member states are encouraged to use this option in its statutes. Most of the court’s cases are self-reported – by individuals or local groups, and are the result of domestic conflicts. The court was founded 20 years ago by an international treaty – known as the Rome Statute – to tackle the most egregious global abuses: war crimes and crimes against humanity. Its work has focused mostly on Africa and it has never opened a case in Latin America, though it is currently examining accusations of war crimes in Colombia dating back more than a decade. 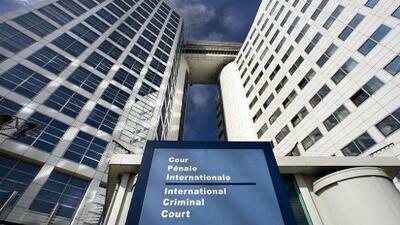 Venezuela was one of 60 states that ratified the Rome Statute in July 2002 which created the ICC. The number of members has since grown to 123 countries. The United States is not a signatory and thus is not officially involved in the case against Venezuela. The decision by Latin American governments to take Venezuela to the court could speed up that process by removing one of the legal steps, said el Abdallah, the ICC spokesman. A case must first go through a “preliminary examination” by the ICC prosecutor who then makes a recommendation to a panel of judges. “If a case is referred by a member state the prosecutor doesn’t need to go to the judges. That removes one procedural step,” he said. The case began in November 2015 with little fanfare when a prominent exiled opposition politician, Carlos Vecchio, took evidence of abuses to The Hague, naming eight officials, including Maduro, in the name of a group of alleged victims of the current regime. A previous effort to take ex-President Hugo Chávez to the court died when the socialist leader succumbed to cancer in 2013. “So, we began to document abuses after the outrages committed during the 2014 protests,” said Vecchio, who is international coordinator for the opposition party Popular Will (Voluntad Popular), whose leader Leopoldo López was jailed. “We submitted anonymous testimony from victims and we have kept updating it. Now there is so much more evidence. It’s a much stronger case,” he said. Momentum really began to build last year when the OAS and the United Nations both produced blistering reports alleging serious crimes and the failure of Venezuelan authorities to hold perpetrators accountable. The UN cited 505 extra-judicial killings, as well as the use of excessive force against demonstrators, arbitrary detentions, ill-treatment and torture. Almagro appointed a Panel of Independent International Experts in September to analyze whether the abuses by the Maduro government met the standard of proof required to report Venezuela to the ICC. In September, October, and November three rounds of public hearings were held at OAS headquarters in Washington D.C. including testimony from 26 witnesses including politicians, military personnel, prosecutors and judges, doctors, parents of students, and non-governmental organizations, all of whom claimed to have suffered persecution or coercion at the hands of the government. Witnesses described how murder, torture, imprisonment, persecution and other inhumane acts were used against the civilian population, and in particular against anyone who did not support the government’s socialist “Bolivarian” ideology. Evidence continued to pile up. In November, Human Rights Watch sent the ICC a report documenting how the Venezuelan government systematically used brutal treatment, including torture, to quell massive anti-government streets protests between April and July 2017. It detailed 88 cases involving at least 314 people in 13 states who were victims of serious human rights violations during the crackdown. “Members of security forces have beaten detainees severely and tortured them with electric shocks, asphyxiation, sexual assault, and other vicious techniques,” it said. ‘The scope and severity of the 2017 repression reached levels unseen in Venezuela in recent memory,” it added. Also in November, Venezuela’s ex-Attorney General, Luisa Ortega, visited The Hague to submit documents to the ICC alleging state responsibility for 8,290 deaths between 2015 and 2017. “[They happened] under the orders of the executive branch, as part of a social cleansing plan carried out by the government,” she told reporters. She said that part of her job would be to examine if Venezuelan authorities have taken steps to investigate the alleged crimes, noting that the ICC is a ‘complementary” court, which is only able to open legal proceedings in cases where national institutions fail to act. Venezuela’s Attorney General, Tarek William Saab, said at the time that Bensouda appeared to be “biased” and that Venezuelan authorities were actively investigating and prosecuting the alleged crimes, making any ICC investigation unnecessary. He added; “we are willing to demonstrate and show, whenever we are asked,” that the court had no jurisdiction in the country’s conflict. The ICC does not discuss its proceedings, so it remains unclear how cooperative Venezuelan officials have been with Bensouda’s examination of the case. Cotler said he was aware that Venezuelan officials have met with ICC personnel. “What the nature of those conversations are I don’t know,” he said. The report examined evidence of 131 killings during protests in 2014 and 2017 who were killed by security forces of paramilitary ‘colectivos.’ In addition, it mentioned more than 8,292 extrajudicial executions recorded since 2015. It also cited 12,000 arbitrary detentions (around seven per day between 2014-2018), 289 cases of state sanctioned torture, including sexual violence against women (and men) in custody, judicial impunity, and wholesale political persecution – all allegedly orchestrated by the government. At the same time, the panel of independent experts concluded there were “ reasonable grounds to presume that crimes against humanity have been committed in Venezuela” under the standards set by the ICC. These were all carried out as “an instrument of state policy,” the experts added. Perhaps the most serious violation was “a state-orchestrated humanitarian crisis” the judges said, referring to the Venezuelan government’s rejection of international offers of food and medical aid in the face of a mounting economic crisis. That had led to a dramatic increase in infant mortality and preventable infectious diseases. Some 2.3 million Venezuelans — about 7% of the population — have left their homeland over the past couple of years, according to the U.N., representing one of Latin America’s largest mass population movements in history. “The mass exodus of Venezuelans forced to leave the country seeking food, health care, jobs, and safety has been seized as an opportunity to force even more critics and opponents out of the country, eliminating voices of dissent and enabling President Maduro to further consolidate his unchallenged hold on power, and destabilizing the peace and security of the region,” the experts wrote. On top of that, have come accusations of the channeling of food and medical supplies exclusively to supporters of the government, what Cotler called; “the weaponization of food and medicine on a persecutory basis.” This, he added, was “a particularly insidious crime against humanity,” punishable under the Rome Statute. Cotler and Santiago Cantón said they were surprised how little media attention the ICC case has received, especially considering the scale of the crisis and the gravity of the allegations. That could change when Argentina, Colombia, Chile and Paraguay make their joint announcement. Cotler said he had asked Canada’s government to join the ICC action too. Cotler and by Cantón said they hope that a formal ICC investigation will increase pressure on Maduro to reverse course, possibly with the internationalization of economic sanctions.